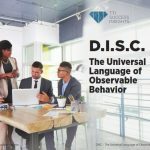 While DISC rocks when it comes to personal insight, understanding behavior and understanding communication styles. DISC can help us improve communication and relationships. DISC (the behavior science) is one of many factors impacting performance. 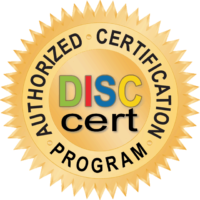 Not sure what your DISC style is, request a free DISC assessment. Consider emotional intelligence. There is a significant difference between a “high D” style’s behavior that has low emotional intelligence (usually a magnifier of behavior) and a “low D” style’s behavior with high emotional intelligence (usually a moderator of behavior). Curious about emotional intelligence, request a free copy of our Emotional Intelligence Playbook. See how the Motivators work with DISC by downloading our cheat sheet. Curious about your own Personal Motivations and Drivers? Request a free assessment. If you would like to add Personal Motivation Certification to your toolbox, join us at Rochester Institute of Technology on December 6th and 7th. Drop me a quick e-mail and I will send you the details of the training.